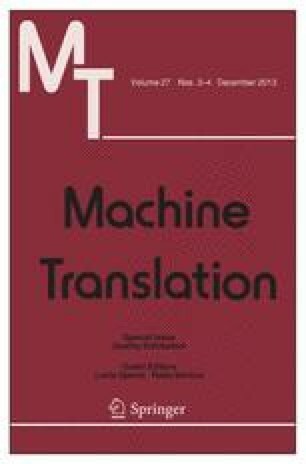 The dissemination of statistical machine translation (SMT) systems in the professional translation industry is still limited by the lack of reliability of SMT outputs, the quality of which varies to a great extent. A critical piece of information would be for MT systems to automatically assess their output translations with automatically derived quality measures. Predicting quality measures was indeed the goal of a shared task at the Workshop on SMT in 2012. In this contribution, we first report our results for this shared task, detailing the features that we found to be the most predictive of quality. In the latter part, we reexamine the shared task data and protocol and show that several factors actually contributed to the difficulty of the task, and discuss alternative evaluation designs. The authors wish to thank LE Hai Son for helping us with the SOUL language model. This work was partially funded by the French National Research Agency under project ANR-CONTINT-TRACE. Table 8 gives the complete list of features that we have been working with and from which we have drawn our different sets for experiments. All the language models were trained on WMT’12 monolingual data. For POS tag based features, the POS tags were obtained with the TreeTagger. Note that there are a few redundant features in the above list. For example, the sentence length features are present as part of the baseline features category as well as separately (Table 9).